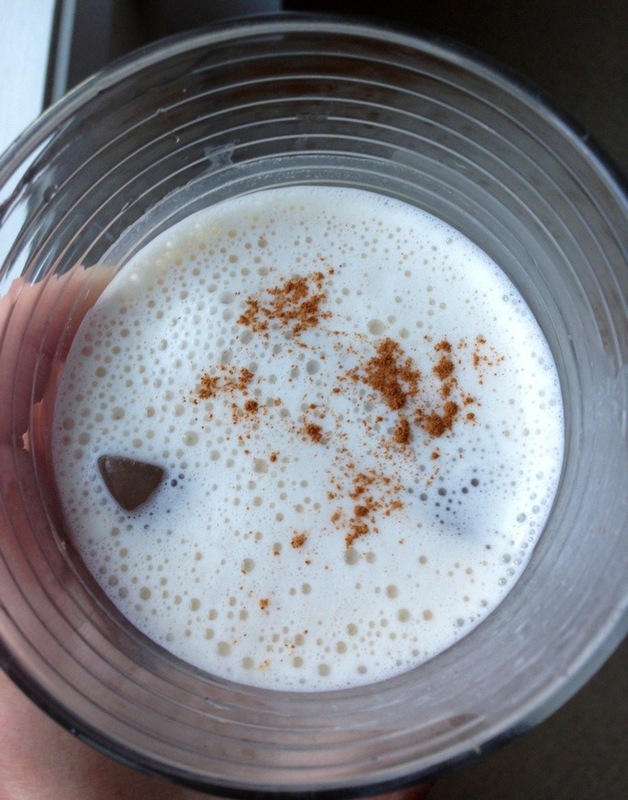 Horchata is a sweet rice drink found in most Mexican restaurants around here. I love it, but it is so sweet and not that good for you. Let’s just say I wouldn’t give it to Baby Bird. My husband the other day made a comment about how I should honor myself enough to eat as well as I feed her. Hmmm, something to think about. Anyway, I’ve had this bag of raw cashews that I have been wanting to use. The other day I threw a few in a version of this puréed butternut squash soup, which was good, but I was still wanting to try out a nut milk with our new blender. I was inspired today to try making a horchata-inspired cashew milk. Forgive the poor photo quality and any typos as I’m blasting this off from my phone. Place first 5 ingredients in a blender and blend very well. Serving chilled over ice vastly improves the flavor. Variation: This would probably be delicious with raw almonds as well. This entry was posted in Food, Healthy Recipes, How To, Recipes for the Whole Family and tagged authentic mexican sweets, baby and me dishes, dairymaking, gluten free, meals for the whole family, naturally gluten free, paleo, vegan, vegetarian. Bookmark the permalink. Thanks Ahlea! I want to try the almond version next. Maybe try it with sprouted nuts, too.